What’s the point of buying a brand new gaming console without any games to play? In our opinion, console bundles are the way to go — and the best bang for your buck. More often than not, gaming console bundles come along with some of the hottest titles on the market, so it’s always a good idea to keep a keen eye out for these deals. As a matter of fact, we found a really great bundle just for you. This Xbox One S bundle is a great starting point for those just jumping in, and it comes with the cult-favorite Minecraft as well as a bonus game of your choice (from the three that Walmart is currently offering). For a total of $248.89 and $60 in savings, you’re truly getting your money’s worth from this kit. Coming with a hefty 1TB of storage, the Xbox One S can support games and stream entertainment in glorious 4K resolution and HDR. With a library containing upwards of 1,300 games from the current and last generation, you’ll never run out of things to play on your system. Not only do you get one of the best consoles on the market in this bundle, but you also get the opportunity to experience some of today’s most popular titles in gaming. 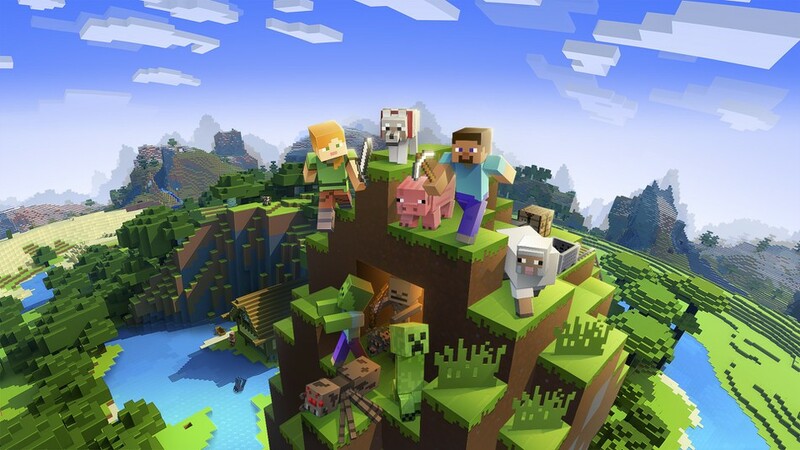 Included with the base bundle is Minecraft, a cult-favorite sandbox game that allows players to build anything their minds can conjure up with 3D blocks in a procedurally generated world. In addition to Minecraft, those who purchase the bundle will also get to choose a bonus game from a list of three titles: Tom Clancy's The Division 2, Anthem, or Kingdom Hearts 3. The Division 2 will see you taking back a post-apocalyptic Washington D.C. from the corrupted powers that be, Anthem will put players in the shoes of high-powered Freelancers and their Javelin exosuits to bring balance to a world of diverse threats, and Kingdom Hearts 3 will take players on a thrilling Disney-themed adventure through the long awaited third installment in this cult-classic series. There’s plenty of variety here for all types of gamers — the choice is totally yours. Check out the Xbox One S 1TB Minecraft Bundle with your choice of a bonus game for $60 off at Walmart.